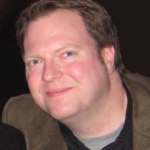 These are good estimates for norm-referenced tests, but if you have a criterion-referenced test for example, and all succeed–a nice outcome for most trainers–your alpha and KR-20s will go to zero as there would be no variance in the equation and that means dividing by zero–which you can’t do. Thus a good CRT might have a bad alpha–there are more accurate ways of establishing reliability–especially if you have a high stakes test. Thanks for making this important point Bill. 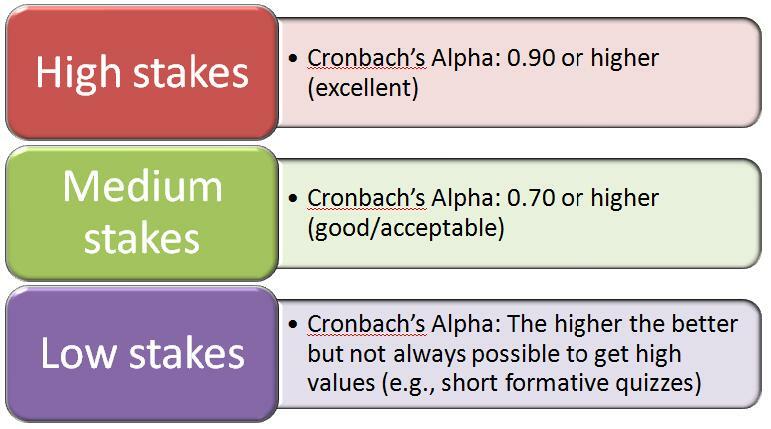 As you and Sharon detail in Chapter 14 of your 3rd edition book (“Criterion-References Test Development”) there are a number of techniques that can be used in CRT situations where you don’t have the variance needed to produce internal consistency reliability coefficients like Cronbach’s Alpha. I suggest people interested in these techniques give this chapter a read as it provides a great review of reliability methods in contexts like you described. Not sure if you can help but here goes,i am having a problem matching my instrment to a set of objectives. I have looked at bloom’s and i am still a bit lost can you offer any advice.